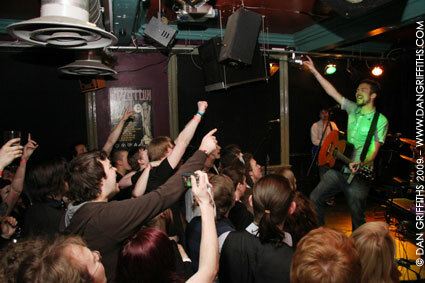 This shot of Frank Turner was taken at the first of four intimate sold out shows in Oxford, with the first two shows taking place at the Wheatsheaf, and the second at The Cellar Bar. This photo was taken just after Frank had announced that he has signed to Epitaph Records to release ‘Love Ire & Song’ and new album ‘Poetry of the Deed’ outside of the UK. View the image large on black.